Teamed up with one of the world’s largest power distribution, power quality, control and industrial automation providers, Bremca is now bringing innovation and savings to building switchboards, process automation panels and motor control centres (MCCs) via its six manufacturing facilities across New Zealand. 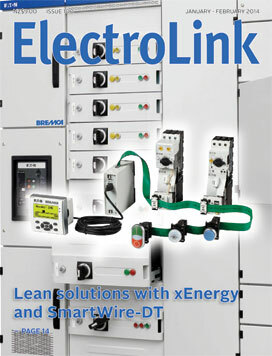 As one of the first switchboard manufacturers outside the EU to be licensed to manufacture and assemble Eaton’s xEnergy seismic-rated and fully type-tested switchboard systems, Bremca is now able to install and connect the latest generation switchgear componentry using SmartWire-DT, Eaton’s new ‘plug and play’ smart automation solution designed to replace standard control circuit wiring with a single cable. What happens when wiring work turns into a product? Temporary offices and stores, especially on construction sites, have been with us for a long time and mechanisms are in place to verify the safety and compliance of these relocatable buildings. The electrical safety of caravans and caravan parks has been similarly addressed (even if it took 20 years), and now a new trend is emerging with the construction of pre-fabricated rooms and buildings designed for temporary accommodation or semi-permanent living. There is also now no barrier in electrical law stopping complete pre-wired houses being folded in or flat-packed from anywhere in the world to provide low-cost housing or instant homes in earthquake affected or any other areas. But the pathways for compliance are far from clear. New Zealand is on the brink of a communications revolution as the Government’s $1.5 billion Ultrafast Broadband (UFB) rollout reaches critical mass, spearheading a sea-change of opportunity for the electrical contracting industry. Described as a ‘once in a lifetime’ communications infrastructure upgrade, the challenge for the electrical industry is how to effectively tap into opportunities on the back of the UFB rollout and build business and profitability around it. The success or failure of UFB will ultimately be determined by residential and commercial demand for services delivered over it, but one certainty is that almost all existing homes and small commercial premises will require some form of data cabling to utilise UFB to its full potential. So you are an electrical contractor and you have survived the global financial crisis and an extremely competitive business environment. But now work is more plentiful, revenues are up and your gross profit is looking better than it has in years, hopefully as a result of better margins. In fact you are looking at taking on extra staff to take advantage of the opportunities that are now presenting themselves. Before you launch ahead, be aware of the silent killer that claims healthy businesses, cutting them down in their prime. This killer is the inability to finance growth as you increase overheads and running costs to achieve it. That fact is, it is in times of growth when the business experiences the greatest pressure on its cash position. So why is that? 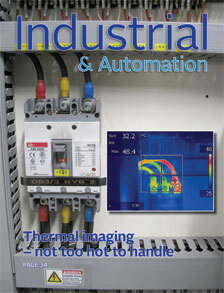 Thermal imaging of electrical switchboards, MCCs, and HVAC systems is increasingly accepted by New Zealand’s largest industrial companies as a credible means of monitoring the condition of electrical and mechanical plant. In the dairy industry, alongside vibration analysis and fluid sampling, thermography is now considered one of the most effective solutions for condition monitoring and has been rolled out across Fonterra plants says Lloyd Darrah, electrical reliability team leader at Fonterra’s Whareroa plant at Hawera. “We rate thermography very highly because it allows us to monitor our switchboards and MCCs under peak load when electrical switchgear and terminations are most susceptible to failure. While electrical contractors install almost all of the lighting designed by specialist designers they also take care of lighting design for the vast number of installations where designers are not involved. 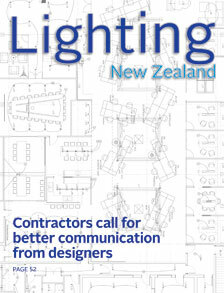 Most contractors do ‘on-the-spot’ designs for projects like small commercial areas and simple residential applications, using their own knowledge and relying mainly on lighting suppliers for technical information when they need it. We tend to think in terms of wattage when deciding on which type of lighting to use but LEDs, with their minimal power consumption, are turning this concept upside down. Because LEDs are becoming much more prevalent and use so little power, we are having to realign the numbers we use to assess whether the wattage of an LED light source is right for the job. For example, to replace a 100 W incandescent lamp, a 12 W LED would be a safe choice and a 400 W high bay will likely need 200 W LED for a similar light output. LEDs are also changing the way we think about lighting efficiency – how much light (in lumens) we get out of a source for the electrical power (in watts) it uses. With the pace of change in lighting technologies and the growth of solid state lighting (LED) for residential, commercial, industrial and street lighting applications, there is an ever-increasing need for many working in the lighting industry to become familiar with modern best-practice lighting techniques. Whether you’re an electrical contractor looking for a practical hands-on introduction to modern lighting technologies or a lighting professional wanting to further your lighting career with a recognised qualification, now is an ideal time to consider the training options available to you.